Maserati gave a glimpse at its next generation GranTurismo Sport, which will premiere at the Geneva Auto Show 2012. 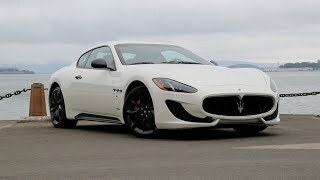 The Maserati Granturismo Sport 2013 sports a redesigned front bumper which optimizes the front air flow for both engine and brakes cooling. The new GranTurismo Sport will feature a all-new 4.7 L V8 engine under the hood, which promises to deliver a power of 460 horses.